All 501(c)(3) organizations are a type of charity. However, not all charities decide to file for 501(c)(3) status, and may not be required to do so. There are benefits for any nonprofit in filing for 501(c)(3) status, but there is a detailed application and a number of obligations that come with that IRS designation. The main reason why charities decide to file for 501(c)(3) status, or exempt status, is for the tax benefits. Charities with exempt status may avoid a number of federal and state taxes, including corporate tax, excise tax and sales tax. Further, donations to the charity are deductible for donors, and there are a number of grant opportunities that are only available to exempt charities. Similarly, exempt charities often receive discounts on health insurance, space rentals, and other business discounts. Depending on the state the nonprofit is organized in, there may be limited liability for the directors and officers in the operation of the organization. Finally, as long as the nonprofit remains in compliance with IRS regulations, the nonprofit organization will survive all existing members and will exist in perpetuity until it is dissolved. That is to say that organizations only need to apply for 501(c)(3) status once and it lasts indefinitely. Exempt organizations have a number of obligations and restrictions, meaning that 501(c)(3) status is not appropriate for every charity. A major restriction is that exempt organizations may not participate in political activity, nor may a substantial part of the organization's activities consist of lobbying. However, there may be a different tax classification, such as 501(c)(4), which does allow for political activity. On the other hand, donations to 501(c)(4) organizations are not deductible. Further, once exempt status is acquired, organizations must make their financial and board meeting records available to the public, and a Form 990 must be filed annually with the IRS, which may be onerous for some organizations. Further, profits of an exempt organization may not be distributed to the members or officers of the organization, but instead must be used to further the purpose of the nonprofit. Some charities, particularly those that are on the smaller side, forgo the 501(c)(3) application. The charity may register as a nonprofit within the state so that the board and staff are not personally liable for the debts of the nonprofit. However, without the IRS designation, donations to the charity will not be tax deductible, and they may miss out on a number of grants. For this reason, many smaller charities seek a fiscal sponsor, which allows a larger nonprofit with exempt status to offer their exempt status to the smaller organization that has a similar mission. Donations all go to the larger nonprofit, which then sends the money to the smaller charity, allowing the donor to take a tax deduction. If a charity does not pursue 501(c)(3) status, they may owe taxes on their income. For those charities that want to pursue 501(c)(3) status, there are a number of required steps to take. First, the charity must form a board of directors which will guide the charity's activities. The board will draft bylaws, a mission and a purpose for the nonprofit. Then, the charity must file for an Employment Identification Number (EIN), which will be used on all incorporating forms. An EIN may be acquired from the IRS website. The next step is to file the articles of incorporation with the secretary of state in the state where the organization is located. The articles must include a number of required provisions regarding dissolution, charitable purpose, and distribution of profits that are compliant with the IRS. The final step is to file Form 1023 with the IRS in application for 501(c)(3) status. The form is quite detailed and may require a considerable amount of time for a novice to complete. 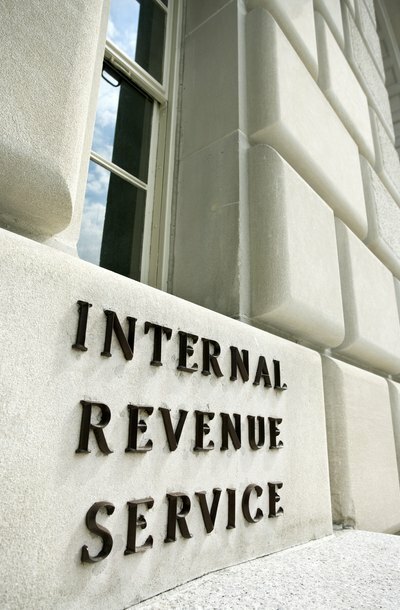 Once the application is submitted, the IRS may take several weeks to several months to issue a determination. Although a somewhat cumbersome process, properly registering your organization as a 501(c)(3) nonprofit allows it to benefit from tax-deductible donations and exemption from certain state and federal taxes. Nonprofits are initially formed at the state level, while the Internal Revenue Service regulates 501(c)(3), or exempt, organizations. As such, a nonprofit must pursue both state and federal registration in order to receive the most benefits.